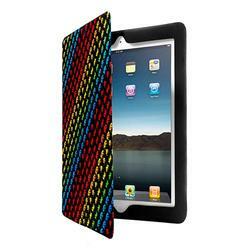 Want to give Space Invaders-grade protection to your iPad 2 instead of iPhone 4? 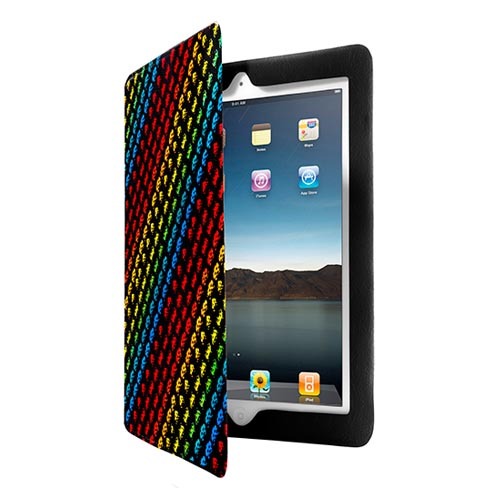 Case Scenario also has the second option for iPad 2 users: Space Invaders themed iPad 2 case. 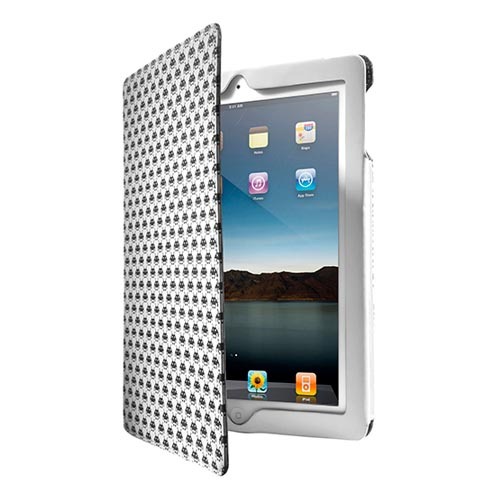 This is a folio styled protective case designed for iPad 2. 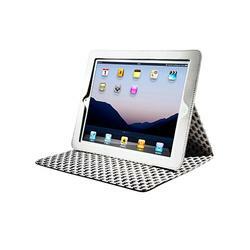 The iPad 2 case is constructed of PU leather in order to protect the iPad 2 from shocks and scratches. And as we can see from the images, similar with the Space Invaders iPhone 4 case from Case Scenario, numerous Space Invaders have been arrayed on the exterior and interior of the protective case. Of course, these cute aliens from the classic 8-bit video game Space Invaders don’t want to invade your device, but evoke your old school nostalgia. When opened, the iPad 2 case doubles as a practical iPad 2 stand to hold your device in landscape viewing mode with 3 optional angles. 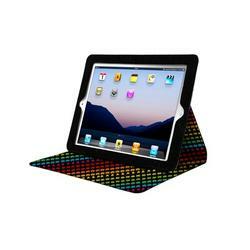 And the protective case can also wake up your iPad 2 or get it to sleep when the cover is opened or closed. 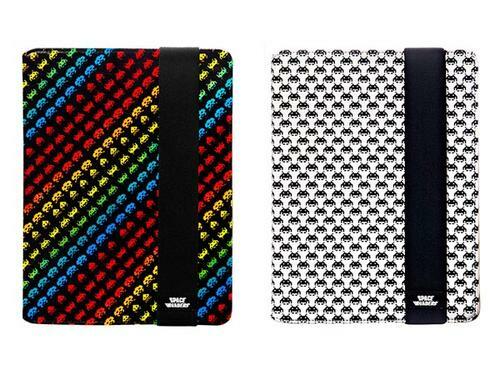 The Space Invaders themed iPad 2 case is available in two patterns, each one is priced at €59.99 EURO (approx $83 USD). If you’re interested, jump to Case Scenario official site for more details. Additionally, if you need other options, you might like to check Portfolio iPad 2 case, IntelliCase iPad 2 case and more via “iPad 2 case” tag.